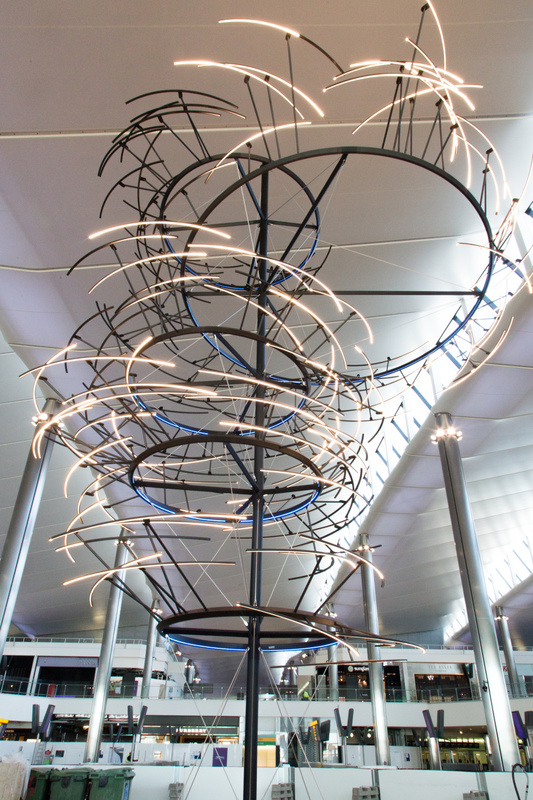 Cinimod Studio has created two new lighting installations for the newly reopened Heathrow Terminal 2. The terminal is reopening this month following a £2.5 billion redevelopment project led by Spanish architect Luis Vidal. 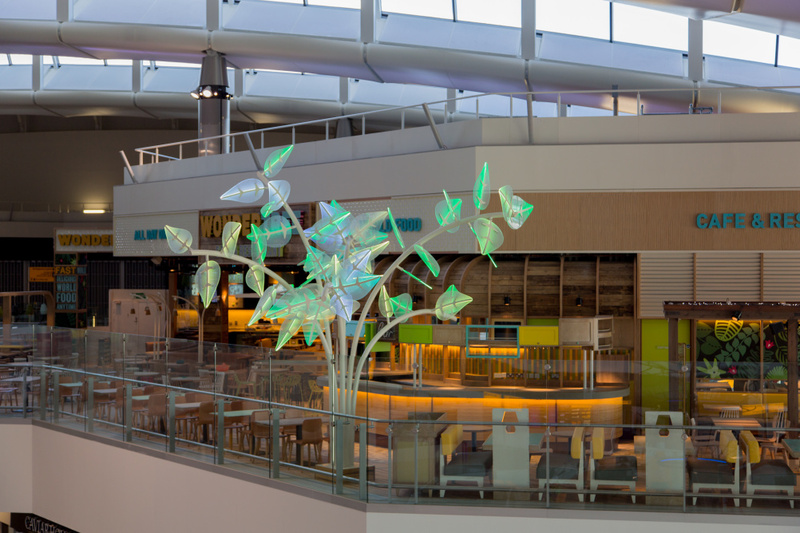 Following its Butterfly in Flight installation at Terminal 5, Cinimod was commissioned by two new clients to create works for Terminal 2. 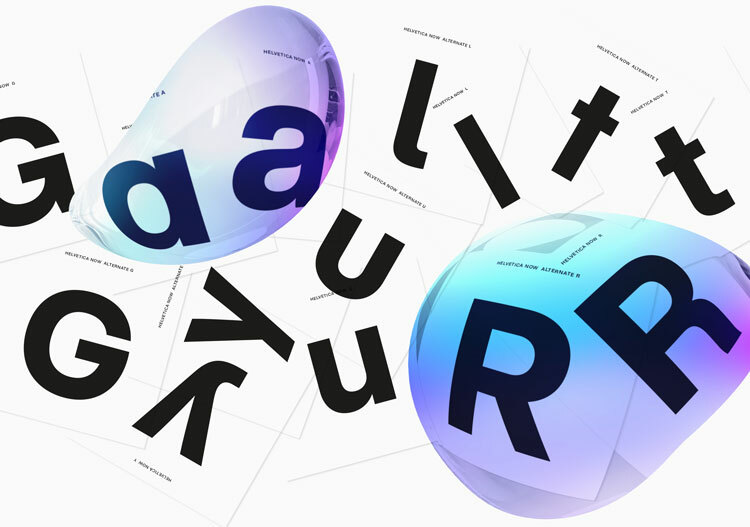 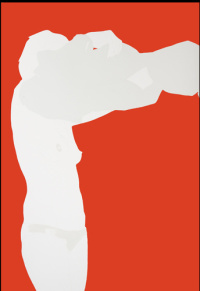 Emergence is the larger project, and has been created for Caviar House & Prunier. The 13m-high structure features LED arcs that spiral up to the ceiling and aims to express the light patterns and shimmers that a school of fish makes in the water. 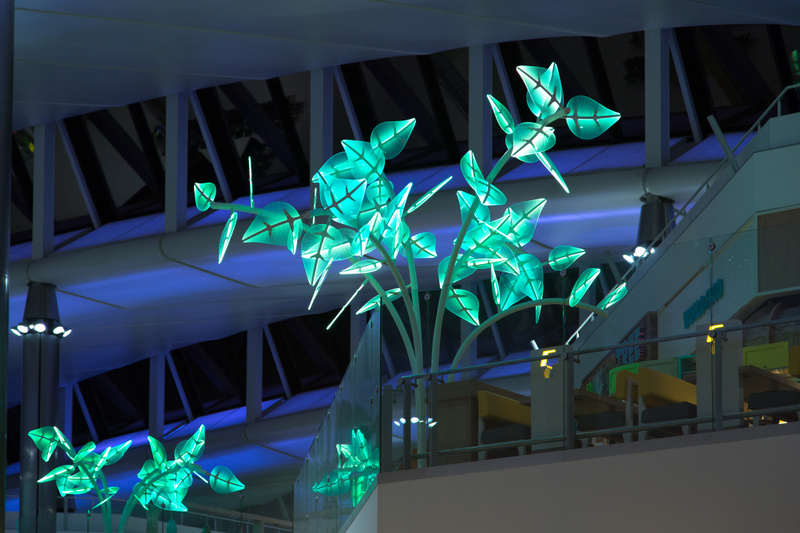 The Wondertrees installation, meanwhile, has been created for the Wondertree Restaurant, and comprises two sculptural trees, with each leaf individually illuminated. Throughout the year, the branches and leaves change colour to reflect the passing seasons – from the pinks and yellows of summer to the browns and reds of autumn.